I am still winding down from what was a whirlwind first half of the weekend. 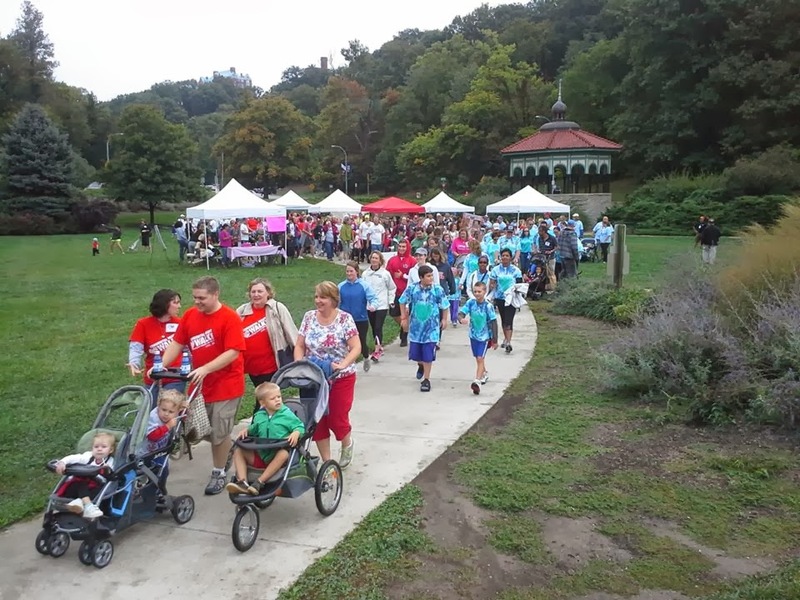 On Friday after work, I flew from Chicago to Cincinnati so that I could participate in the Cincinnati Congenital Heart Walk yesterday morning. In my role as an ACHA Heart to Heart Ambassador, I was invited to attend the walk, staff the mission table, talk with walk participants about ACHA, and speak during the opening remarks. Just as I did at the walk in Chicago in June, I briefly shared my personal story as an adult with a congenital heart defect and spoke about my involvement with ACHA and the work that ACHA does on behalf of the CHD community. During the post-walk festivities, a young couple approached me and asked if I would be willing to take a photo with their 10-month-old son, who also has tetralogy of Fallot. It was truly a pleasure and an honor to be asked, and the entire family was just delightful. (The little boy's two older sisters were also there to walk for him.) I was so pleased to learn that his surgery—which was done months before—had gone very well and that his outlook was a positive one. Moments after our brief conversation and photo shoot ended, another heart mom who was standing nearby approached me with palpable enthusiasm and excitement. She commented on how sweet that gesture was and how I instantly became an inspiration for that young couple—a reminder (now with photographic proof) that their little guy has a real chance of growing up and being able to live a completely normal life. 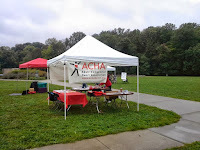 My "official" role at the walk was to represent ACHA and to be a spokesperson for the organization. What I was not consciously thinking about in advance was the very personal impact that my presence and a few simple words could mean to others who were there. As I told the heart mom who commented on my interaction with that young couple, I don’t generally think of myself as an inspiration for others. Rather, I just do this work because I enjoy it and because it is so important to me personally. She then looked me straight in the eye and reminded me that—with that single photograph of me holding their little baby boy—that family would always have the memory of that moment and hope for their son’s long-term prospects. After the walk was over, I headed directly to the airport for my return trip to Chicago. 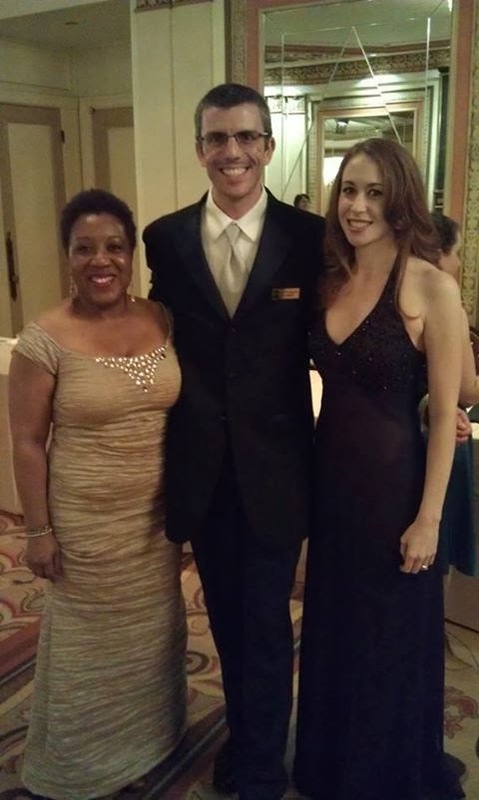 I was, after all, scheduled to work the black tie gala for my "day job" that evening. (For those of you who don’t know, I work in the Development office of the Chicago Symphony Orchestra.) I was fortunate to catch an earlier flight on standby and upon landing headed directly from O'Hare to my office, where my tuxedo was already waiting for me. As our biggest fundraising event of the year—with over 600 guests in attendance last night—Symphony Ball is an all-Development-hands on deck ordeal. I arrived at the hotel, where the red carpet had already been unrolled and was awaiting our guests who would soon be coming directly from Symphony Center after the concert. The music that night was transformative, the ballroom exquisite, the evening gowns stunning, and the bars wide open. The event’s co-hosts, our music director, our guests, and my fellow colleagues on staff were all pleased. By just about any measure, it was an elegant, enjoyable evening and a very successful fundraiser. As I think back on my two-city, two-fundraiser day, I can’t help but be somewhat amused by the polarity of these two events, both of which fall under the broad term philanthropy (or development or fundraising). At the most basic level, yes, these two events had the same end goal: to raise money for an important charitable organization. But the vast differences between the two fundraising events clearly reflect the vast differences in the types of the beneficiary organizations. Now don't get me wrong. I do enjoy getting dressed up and doing the whole black tie thing every now and then. And there is certainly something glamorous about attending (even if just as a working staff member) a "see and be seen" type of fundraising event like this. But it was particularly interesting for me to experience these two very different worlds on the same day. 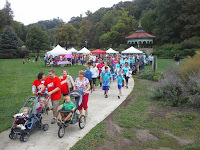 I started my Saturday under an overcast sky in a Cincinnati park to help raise money for congenital heart disease. 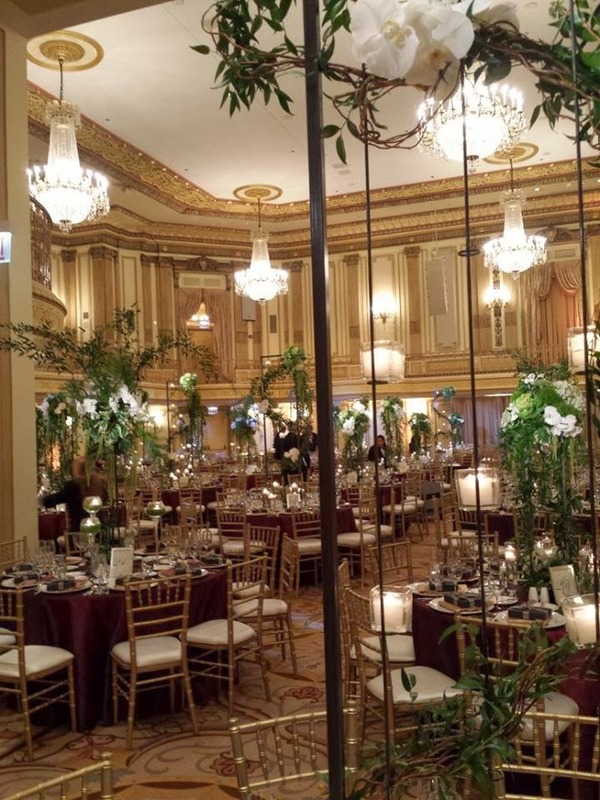 I ended the day in an elegant ballroom in a downtown Chicago hotel wearing a tuxedo helping to raise money for a world-renowned symphony orchestra. Anyone familiar with the fundraising industry already knows that approaches to philanthropy and fundraising events are as diverse as the types of organizations out there that are seeking charitable contributions. And this is certainly appropriate. But as I had this unique opportunity to experience these two very different scenarios in such a short amount of time, I was again reminded of the vast diversity within my chosen profession. I was exhausted by the end of the night, but it was truly a great day. Both events were quite successful and (I think) each exceeded its fundraising expectations. But while I enjoyed seeing and participating in both events, there is still no question in my mind as to where my heart (no pun intended) truly lies. Postscript: An abbreviated version of this entry was published on the ACHA blog in November 2013.